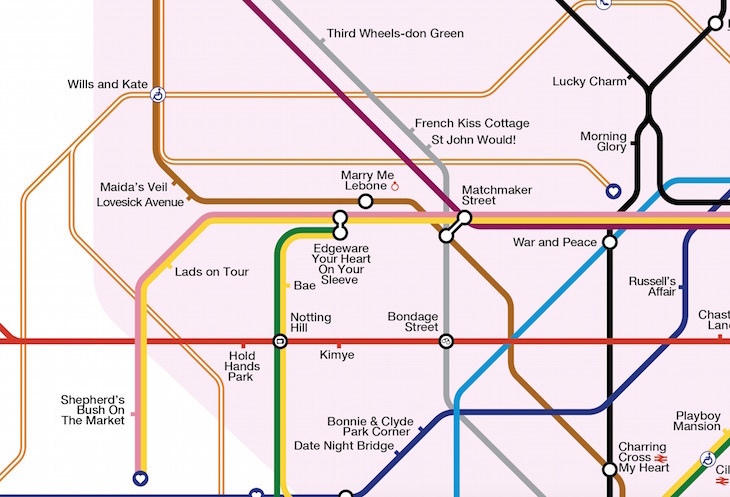 An alternative tube map with a Valentine's theme has been released, and it's full of puns that are so bad they're actually... just really, really bad. Alright, some of them are a bit clever. We wouldn't have come up with Prenup-ton Park, and rebranding Angel to Cupid is a nice touch. But renaming Stanmore as Stand By Me, and Hackney Wick as Chick Flick? Eeeek. 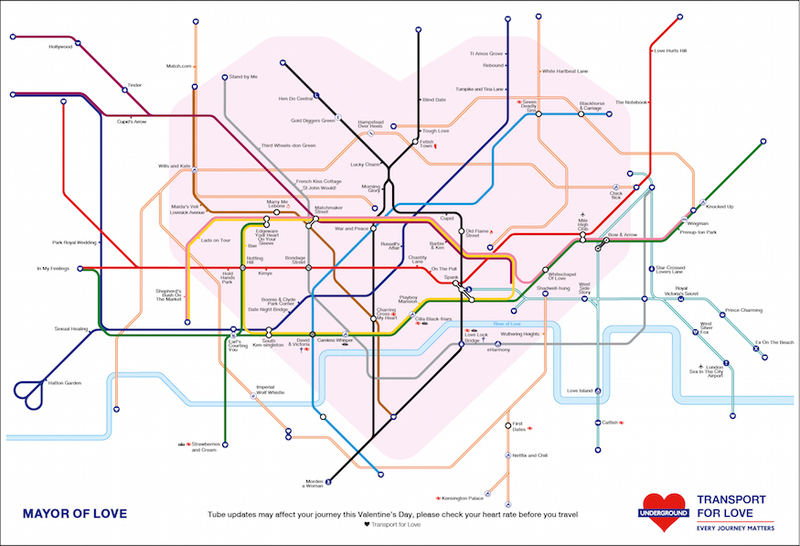 And we're not even going to pretend we know which real-life station The Notebook (out east on the Central line) is supposed to be. 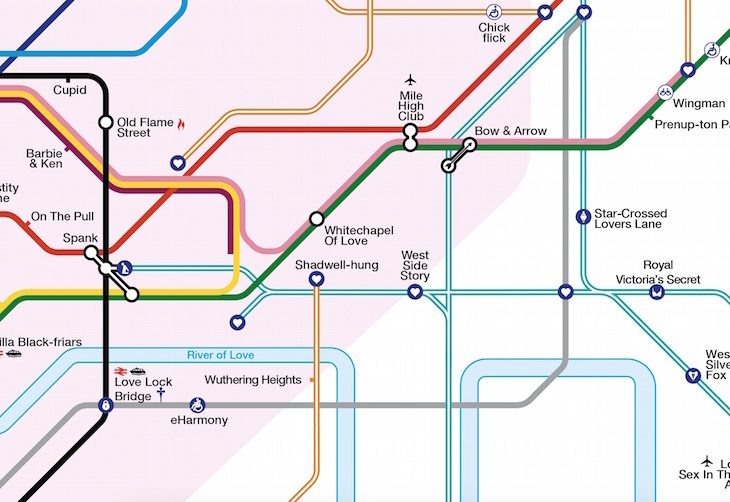 It's a surprisingly roundabout route from Morning Glory to Knocked Up, but traditionalists will be pleased to know you'll pass through the Whitechapel of Love on the way. Some of them are thinkers... Turnpike and Tina Lane appears to reference the (reportedly abusive) relationship between Ike and Tina Turner, a strange choice of couple for a romance-themed effort. Alas, not every station features — what happened to Liverpool Street, for example? One member of Team Londonist suggested Lover's Pool Treat... but fear not, he's been dealt with.